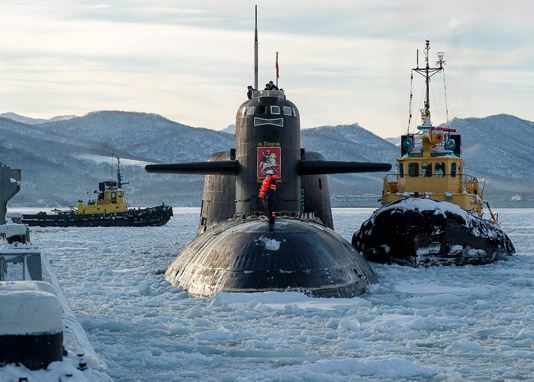 In Vladivostok yesterday, Defense Minister Anatoliy Serdyukov made the surprising announcement that the first Borey-class SSBN, Yuriy Dolgorukiy, will deploy to Russia’s Pacific Fleet, once it becomes operational with its complement of Bulava SLBMs. Serdyukov made the comments while inspecting new construction in Vilyuchinsk for Pacific Fleet contractees. 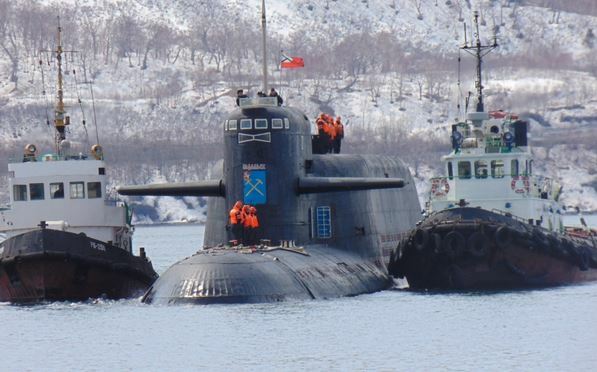 Basing the first Borey away from where it was built, and away from Russia’s Northern Fleet, is a sharp break from the Soviet / Russian Navy tradition of keeping the first units of new classes — especially SSBNs — close to their point of origin at Sevmash. A Pacific Fleet deployment could complicate service and support not only for Yuriy Dolgorukiy, but for its new missile system as well, and make this more costly too. The Defense Ministry seems to have decided it needs to retain a two-fleet naval strategic nuclear deterrent. And putting the first Borey there seems essential given that the Pacific Fleet has only a handful of 30-year-old Delta III-class SSBNs at this point. This decision may also reflect what’s been presented several times as an increased Russian military focus on the Asia-Pacific region.